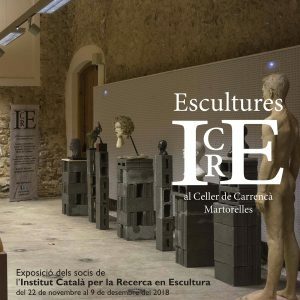 Catalog of the collective exhibition of ICRE members in the Celler de Carrencà, Martorelles. 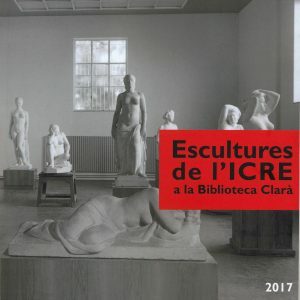 Catalog of the sculptures exhibited by the ICRE members in the Clarà Library during 2018. The publication includes the reviews of the conferences held during the year and the works presented in the photo contest for the catalog cover. 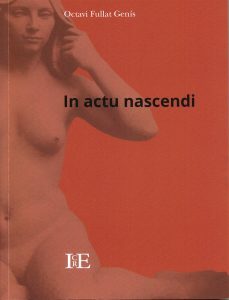 Catalog of the exhibition on contemporary realism. 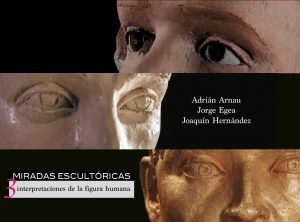 Catalog of the exhibition of the sculptors (and ICRE members) Adrián Arnau, Jorge Egea and Joaquín Hernandez. Second catalog published by the ICRE of the work of a partner. Specifically, from the partner Fili Plaza. It contains a selection of 80 of his best sculptures, with texts by Carlos Escuder, Rafael Guerrero, Martine Lucas and Fili Plaza itself. 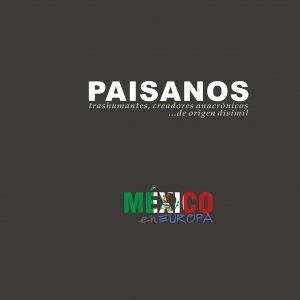 Catalog of the works presented at the exhibition that was inaugurated on April 5, 2018, at the Consulate of Mexico in Barcelona. 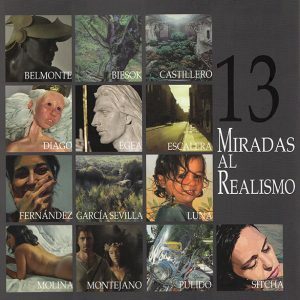 Luis Alderete, Julio Ángeles Labra, Jaqueline Barajas, Pablo Castañeda, Carlos Castrejón, Francisco Chávez Corrujedo, Carlos Coronado Ortega, Aída Corral, Jorge Egea, Esther Gámez, Fernando García Rivas, Ángela González, Ruth Hernández Ortíz, Rocío Hoffmann, Laura Lehman, Virinia Lizardi, Daniel Márquez, Antonio Oceguera Figueroa, Francisco Postiethwaite, Griselda Rosas and Hugo Valdéz. 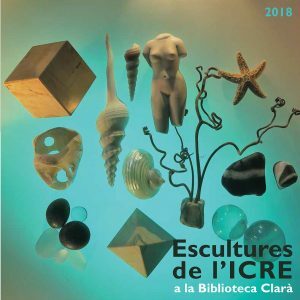 Catalog of the works of the ICRE partners exhibited throughout the year 2017 in the Clarà library. 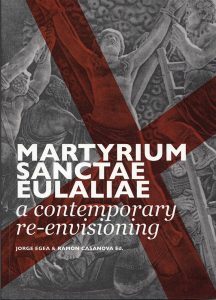 Texts: Juan Carlos Bejarano, Jorge Egea, Octavi Fullat, Sebastià Sànchez Sauleda, Judit Subirachs, Mont Sureda, Àlex Sussanna. 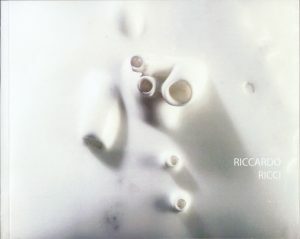 Catalog of the marble work of the Italian sculptor Riccardo Ricci, who currently lives between Barcelona and Carrara. Dr. Octavi Fullat begins a journey from the last retrospective exhibition of Jassans to delve into his creative process and talk about the essence of sculpture. Catalog of the second edition of the Art Biennial organized between the ICRE and the Comú de Particulars of La Pobla de Segur. 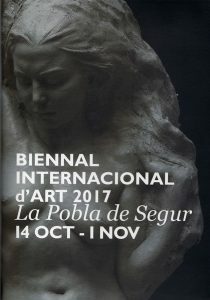 The Biennial took place in La Pobla de Segur from October 14 to November 1, 2017. 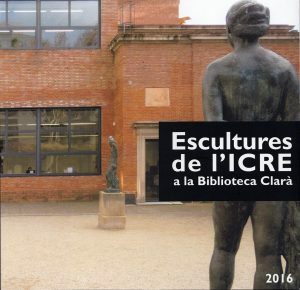 Catalog of the works of the ICRE partners exhibited throughout the year 2016 in the Clarà library. 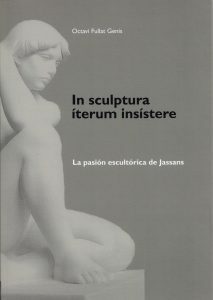 Reflections of Dr. Octavi Fullat on the work of the sculptor Josep Salvadó Jassans.There are two versions, in Catalan and in Spanish. 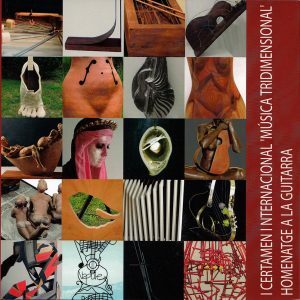 Catalog of the international contest “Musica Tridimensional” tribute to the guitar, organized by the ICRE and the Museu de la Música de Barcelona. 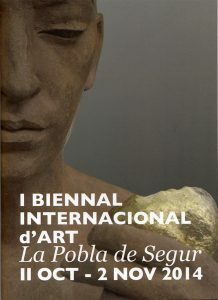 Catalog of the first edition of the Art Biennial organized between the ICRE and the Comú de Particulars of La Pobla de Segur. The Biennial took place in La Pobla de Segur from October 11 to November 2, 2017. Multidisciplinary project in which Catalan and Italian artists reflect on the iconography of Santa Eulalia, reinterpreting and updating the myth of the patron saint of Barcelona from different plastic proposals.